One of our friends just got married. She has a very modern taste so I immediately saw the opportunity to try my new ruler: Quick Curve Ruler by Sew Kind Of Wonderful (I found it here). 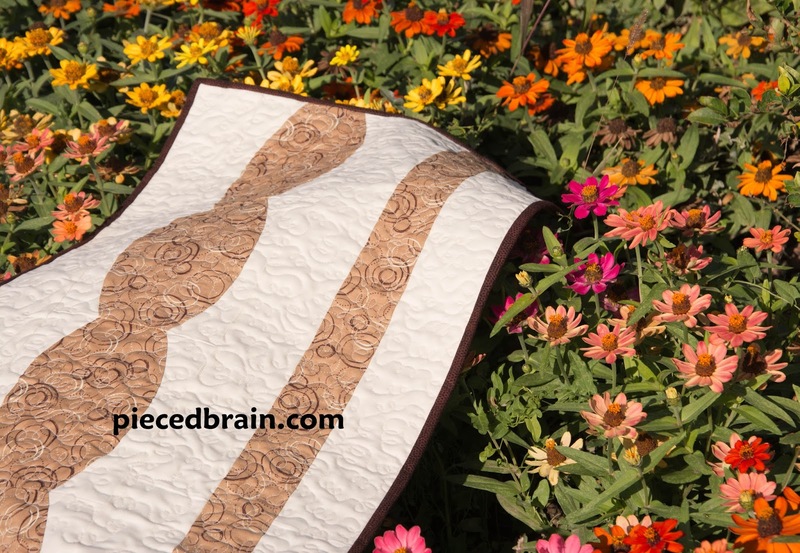 I came up with the pattern, chose the fabrics, and got busy. 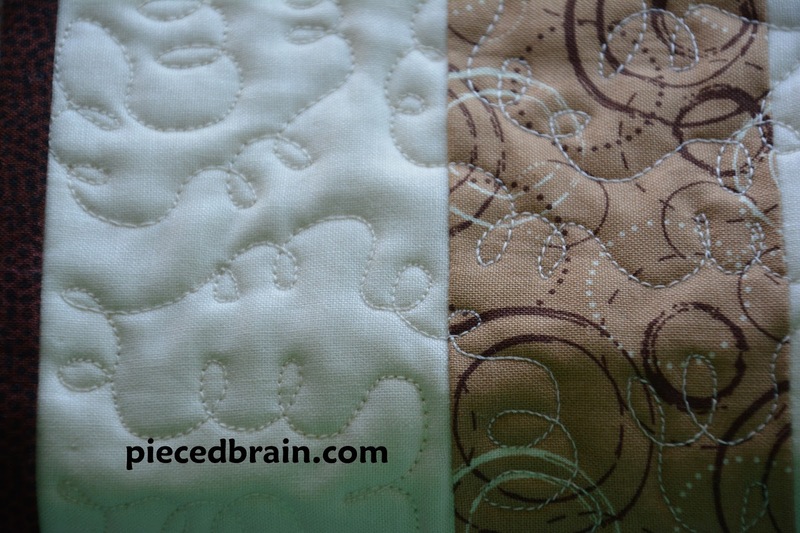 The blocks look cool when stitched together. I will definitely make this one again! 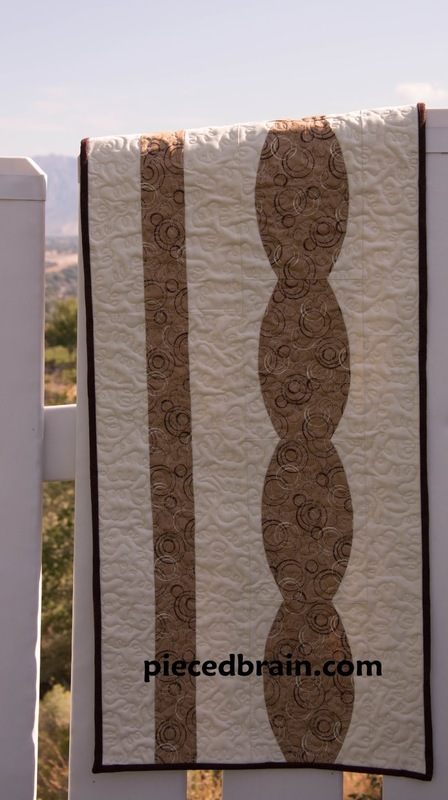 The Quick Curve ruler is very versatile - just watch the videos on Sew Kind of Wonderful's blog as they will tell you how to cut the fabric and sew the shapes. No, wait! 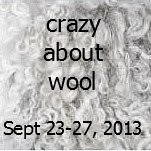 Gotta start thinking about what I will make for the Wool Lovers blog hop. What? You haven't heard? I am hosting this five-day blog hop right here! Leave a comment if you would like to include your blog on the list of participants (make sure I can access your email address), then grab the button from the grab box to the right and place it on your blog, and I will contact you with more details! I can't wait to see what everyone will create. 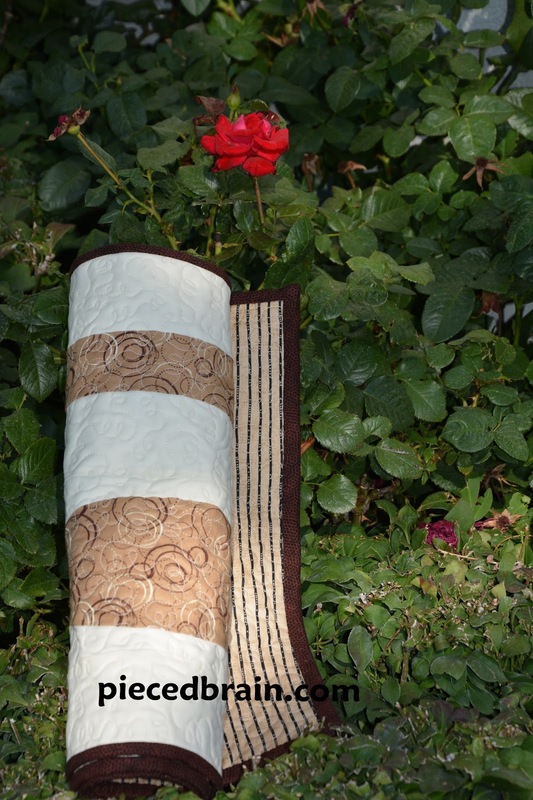 Imagine applique quilts, wall hangings, table runners, bags, pincushions, jewelry, knitting and crochet projects... 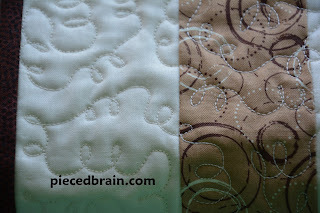 The sponsors are almost all lined up and I will update the original post about this blog hop as I get their pictures. Let's get busy and enjoy beautiful woolen works! Have a great weekend! 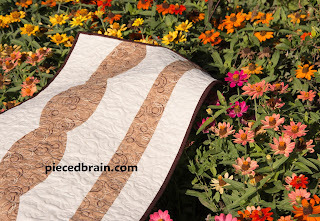 That is a wonderful runner Denise...I love the soft color too. 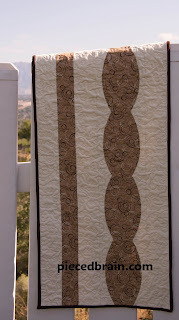 I love the table runner I have been making a few lately they are fun to make. Lindo corredor minha linda,parabéns!Posso participar sem blog?Poderia fazer umas blusas de lã de tricô ..??? ?Beijos e bençãos!